How much is too much? Binge drinking is categorized as more than two alcoholic beverages per two hours. But how much is considered “one” drink? 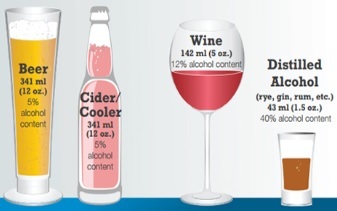 Generally, one drink is 12 ounces of a beer/cider/cooler with 5% alcohol content, 5 ounces of wine with 12% alcohol content, or 1.5 ounces of liquor with 40% alcohol content. Regardless athletes are encouraged to restrict their daily alcohol consumption to <2 drinks per day and it would be optimal to omit regular alcohol use. With all of this being said, if you are an individual who races in open heats or non-competitively with no goals other than to finish a race -- a couple of drinks with your buddies the night before isn’t going to make a large impact….. BUT if you are A.) An athlete who takes performance seriously or B.) Racing a more demanding event (multiple day series or ultra-endurance race) it is highly advisable to avoid alcohol consumption at least 48 hours prior to competition. Luc is a registered dietitian with his M.S. 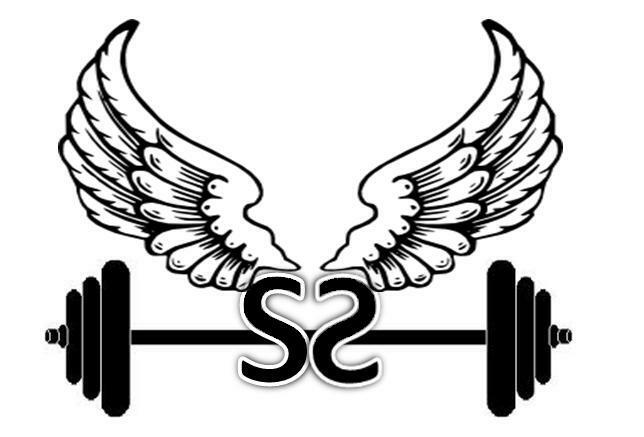 in Nutrition and certifications in personal training and wellness coaching. Luc hones his professional skills through counseling athletes/fitness enthusiasts and through his career as a clinical dietitian at East Carolina University. As a member of the Strength & Speed Development Team, his main hobby is competitive obstacle course racing with notable appearances at Obstacle Racing World Championships (2014-16) and a 50 mile completion at Worlds Toughest Mudder 2013. Luc can be followed through his facebook (www.facebook.com/lrlabonte) and Instagram (www.instagram.com/lrlabonte_ms_rd_ld/) accounts. Are cramps seizing your performance? Exercise induced muscle cramps are often multifactorial and one intervention may not always immediately solve the problem. Unfortunately, there is no strong research behind the definitive cause and most of the recommendations come from expert opinion and/or athlete anecdotes. The theories regarding cramping are related to poor hydration/electrolyte imbalances and nervous impulse “misfire” that prevents a muscle from relaxing. In the past athletes would use pickle juice or mustard to alleviate cramps and noticed improvements almost immediately. This was credited to the sodium content but newer research indicates that this would not be an adequate amount of time for sodium absorption. Exogenous electrolyte consumption can take upwards of one hour for absorption if provided under optimal conditions. New discoveries suggest that certain flavors (like those present in pickles and mustard) trigger a neurological impulse that negates the misfire which allows for the muscle to relax. When it comes to preventing and treating cramps, the best approach is to incorporate all interventions. b. If dehydrated 2-3 days prior to an event, do not chug down water in high volumes. Increase water consumption by 8-16 ounces three times per day (with or without meals). Tapering will also serve to prevent normal fluid losses from reduced volume of training. c.	Urine should be relatively clear with a very slight yellow coloration. Once this has been achieved prior to the race, hydrate to match losses and maintain hydration status. 4.) Consider carrying a single serve packet of mustard or dill relish on the course for emergency cramping. These condiment packs can be found at most restaurants and grocery stores. Luc is a registered dietitian with his M.S. in Nutrition and certifications in personal training and wellness coaching. Luc hones his professional skills through counseling athletes/fitness enthusiasts and through his career as a clinical dietitian at East Carolina University. As a member of the Strength & Speed Development Team, his main hobby is competitive obstacle course racing with notable appearances at Obstacle Racing World Championships (2014-16) and a 50 mile completion at World’s Toughest Mudder 2013. Luc can be followed through his Facebook (www.facebook.com/lrlabonte) and Instagram (www.instagram.com/lrlabonte_ms_rd_ld/) accounts. Between running mileage, skill work, and dedicated strength training, diehard obstacle course racing (OCR) athletes have a lot on their plate (both training and dietary wise) for peak performance. Along with this, the sport is characterized by obtaining ideal body composition to improve strength-to-weight ratio. Inadequate intake of certain micronutrients secondary to caloric restriction for weight loss in combination with fluid/micronutrient losses (I’m talking about sweat… and a WHOLE lot it!) can become disastrous. I can already tell what you are thinking… “Oh, not another article on iron, sodium, potassium, B-vitamins, blah-blah-blah.” Although all of these nutrients are important, today the focus is on an often overlooked nutrient that can largely impact your health and exercise performance. Cue zinc. Zinc deficiency, a condition that is not well known or addressed by the OCR community, is quite common in endurance athletes. Dietary practices adopted by endurance athletes may lead to suboptimal zinc intake in up to 90% of athletes. Although zinc deficiency is associated with poor immune function, metabolic function, macronutrient metabolism, and wound healing, there are several other sports specific implications. These include decreased peak work capacity, decreased oxygen uptake and carbon dioxide output, and decreased muscular strength and endurance. In fact, there is research that has indicated that suboptimal zinc status is associated with decreased training mileage for distance runners. In some circumstances a suboptimal zinc intake will be mistaken for an iron deficiency due to the temporary mild symptoms similar to zinc deficiency. After all, inadequacy of both minerals will result in decreased endurance performance for runners. If you are experiencing any of these symptoms, it may not hurt to visit your physician to conduct lab work and then fortify your diet with this mighty mineral. The recommended intake for most athletes lies between 11-15mg/day (dependent on sport, weight, gender). Optimal absorption can be obtained through avoiding coffee with zinc-rich meals. Zinc absorption may be increased when paired with green tea. Foods rich in zinc include but are not limited to: various beans, peas, eggs, legumes, meats, fish, poultry, nuts, shellfish, wheat germ, and whole grains. Zinc found in animal-based foods are generally more bioavailable and easier to absorb. It is not uncommon for vegetarians, females, or athletes undergoing caloric restriction to require a dietary supplement to meet their needs. If relying on a supplement, avoid consuming multiple mineral supplements in one meal (especially iron); these minerals will compete for absorption in the gastrointestinal tract. Often times a well-rounded diet and generic multivitamin supplement (when taken with a meal) will meet the needs of even the most competitive athletes. Standalone zinc supplements are generally not required and may result in toxicity (>40mg/day). Always make sure to check with your physician before starting any new supplement practices.